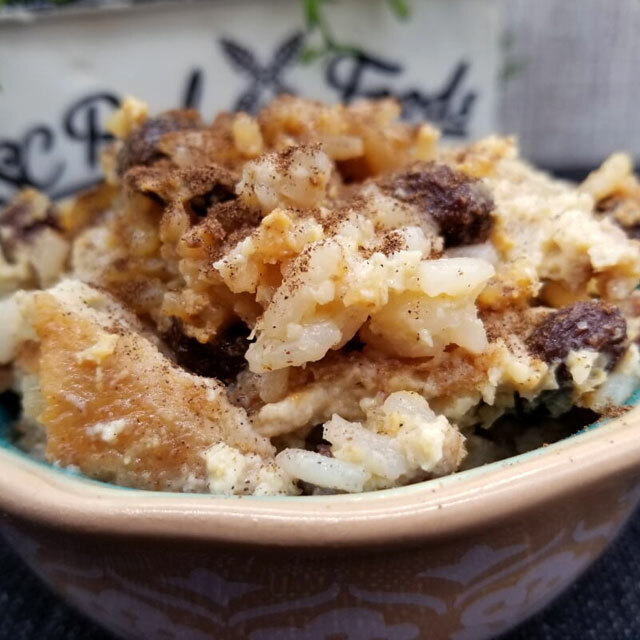 Old-fashioned custard riced pudding made with organic eggs and cream. Seasoned with our own chai spice cinnamon blend. Enjoy warm for breakfast or dessert.